James Brown used to charge his band up to a hundred dollars every time they made a mistake on stage, which seems harsh until you consider how the Lannisters deal with their problems. And Westeros is definitely a man’s world, although it would be nothing without a woman or a girl (and her dragons). 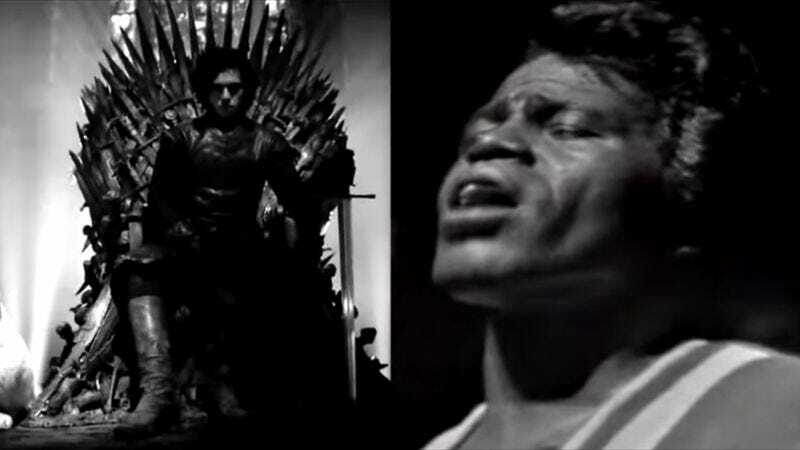 Those are two reasons why it makes sense to combine Brown’s 1966 single “It’s a Man’s Man’s Man’s World” with the Game Of Thrones theme—but the third, more compelling reason is that they go together perfectly. This striking mashup was created by DJ RozRoz, who’s also combined The Temptations with the American Horror Story theme, Coolio with the Squirrel Nut Zippers and Ennio Morricone with a whole bunch of stuff. None of them quite match the soulful pathos of “James Of Thrones”, though.